Happy Thursday everyone, Robin here with my weekly Dies R Us design and inspiration for you! This week I chose the Bountiful Sunflower and it's companion die Bountiful Sunflower Background by Poppystamps. With all our hot weather lately (in Southern California) the sunflowers have started to grow and bud; that's where my inspiration came from this week. I used a mottled green paper for the stems, leaves and outer edges of the flower. 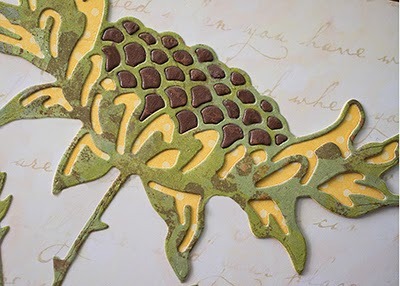 A bright yellow polka dot paper was used with the background die. Since I may have a little OCD (OK, maybe more than a little) I decided to inlay ALL the sunflower seeds! You certainly don't need to go that far, LOL. It wasn't as difficult as you might think and it added a bit of dimension BUT I would not try this if you need a card in a hurry. Placing a piece of dark paper behind would work just as well. The sentiment is from Taylored Expressions From Me To You stamp AND die set. This set includes four sentiments, two designs and the die! This is a GREAT value! 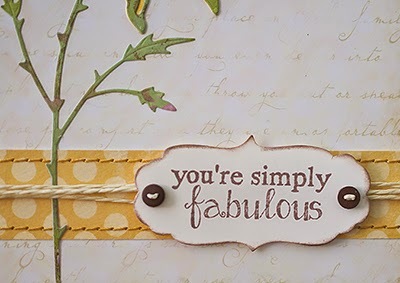 I love the included die which can be used with other sentiments you may have. Robin, this is just beautiful! 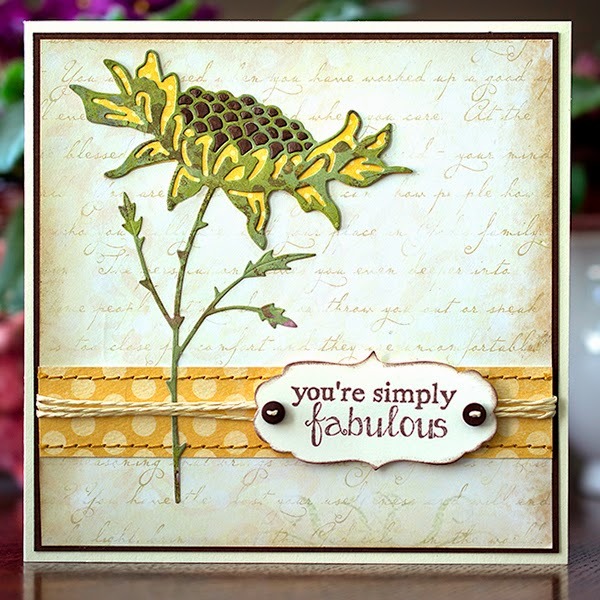 I love the clean lines of this card and the papers are perfect to really show off the gorgeous sunflower. Great design! !